Perhaps more than any other piece of apparel, sneaker brands are often closely associated with their well-known logos. Nike’s got the swoosh, Adidas has its three stripes, and Puma has, well… a puma. 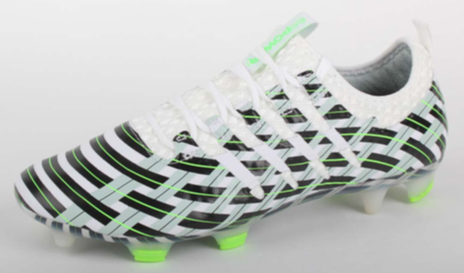 However, Adidas now claims that Puma’s latest soccer cleats cross the trademark infringement line by allegedly copying the Adidas stripes. The lawsuit [PDF], filed in the U.S. District Court District of Oregon, claims that Puma’s soccer cleats adorned with four stripes constitute trademark infringement, unfair competition, trademark dilution,and deceptive trade practices. 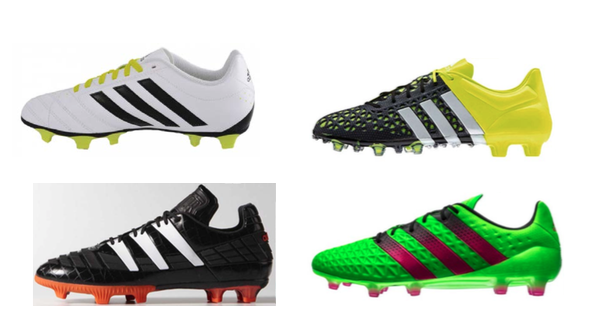 According to the complaint, for over 60 years Adidas has sold soccer and other apparel products bearing the distinctive “three-stripe” design that is covered by numerous trademark restrictions. To make matters worse, Adidas notes that not only is Puma a direct competitor, but the two companies share a common background: The companies were founded by brothers and continue to be headquartered in the same German town. Through the relationship, the suit claims, Puma is “intimately familiar” with Adidas’s three-stripe mark. “Puma’s use of four diagonal stripes on the side of the Infringing Cleat is a blatant attempt by Puma to trade on the goodwill and commercial magnetism Adidas has built up in the Three-Stripe Mark and to free-ride on adidas’s fame as a preeminent soccer brand,” the lawsuit notes. With the lawsuit, Adidas seeks to stop Puma from selling the four-striped cleats and an order requiring the company to pay damages and forfeit all of its profits from the sale of the alleged trademark infringing footwear. This isn’t the first time Adidas has sued a competitor over allegedly similar designs. In Sept. 2015, the company sued Sketchers, claiming the company’s “Onix” sneaker was a rip off of the “Stan Smith” shoe. Adidas’s Stan Smith design is based on a 1963 shoe worn by tennis star Stan Smith, and features green markings on a white sneaker, with perforations in its signature three lines. The Onix shoe by Skechers is also a white shoe with green markings and perforations, though the holes are punched in a different pattern of five lines.